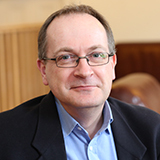 I am the Review Editor for the journal Government and Opposition, which is published by Cambridge University Press. 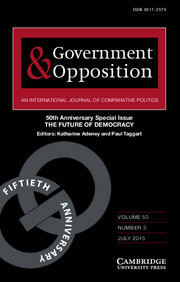 Government and Opposition is one of the world’s leading global comparative politics journals. This means that we publish papers dealing with any part of the world, and on any theme, to do with comparative politics, liberally defined. We accept papers that cover a single case, so long as they are positioned within the comparative politics literature and seek to advance comparative political analysis. We are tied to no substantive position, nor to any methodological orthodoxy beyond the fundamental principle of intellectual rigour. To ensure rigour we practise blind refereeing. We publish four issues a year. One of these is usually a commissioned ‘special issue’ on a distinctive theme, and we are always open to proposals for such issues, which are reviewed at our Editorial Board meeting in May. We also publish substantial review articles, many of which are commissioned, and some of which are the result of proposals made to our review editor.